You’ll know a tech launch when you see it. Often a dark stage, big visual backdrop, and a CEO who launches in casual gear. What follows thereafter varies widely dependent on the product, the company, and their audience. No less though, in a contemporary era where the tech world holds similar clout in a global agenda to hedge fund billionaires and political kingmakers, a common formula can be seen throughout: our new digital product shall do away with the old. It could be a new ereader that promises to wave away your library, a new lens that asks you kiss goodbye to your old camera, and maybe even a skateboard that claims pushing is ‘so yesterday’. It also should be said many prudent companies are cautious, like Amazon – a veritable giant of the eBook realm but also remains a seller of print books – but the temptation of a marketing team is always there: ‘Go say our product is this generation’s game changer’. Such claims make greats headline in 24/7 media, but going a little deeper reveals a reality: we are by no means near a digital-only world just yet. Sure, its known video is on the rise, so too shall coding only grow more useful as the eCommerce economy and online world expands; but certain products that have otherwise been written off appear resolute to hang round. Let’s look at a couple now.. Undoubtedly, just like the rise of Netflix has reaped havoc on your local video stores, so too has the online book phenomenon (whether via direct download or online buying and postage) inflicted a severe blow to the bottom line of many brick and mortar stores. Despite this though, recent times have offered suggestions that the local bookshop is not done yet. The reasons bookshops has stayed – and at times opened anew – whereby your local Blockbuster closed down varies. As any reader would write a book held in your hands offers a far more impactful experience – given its varying size compared to a eReader, its weight, and even the smell of the ink and pages – that is distinct from a rental of a movie that is more or less the same whether you watch it via Netflix or your Blu-Ray player. Nonetheless, the diversity of bookshops around your city and the wider world means (unlike Blockbuster that had a uniform look to their stores and business wherever they were), the ongoing success of the brick and mortar bookshop is harder to deduce. This not least of which because even the giant of the digital reading world Amazon is getting in on the fun of opening a traditional bookstore or two. Seemingly, there is evidence to suggest if you are an independent, if you’ve got a local neighbourhood receptive to your books, and if you caught a wave like the one that saw independent book shops grow in the US by a remarkable rate of 27 per cent between 2009 and 2014, then it can be said your business may form part of a new generation, and will keep new ‘real’ books in the hands of those who long for them for many years to come. Beyond this, the ongoing popularity of pen and paper in other forms is also notable. While Silicon Valley may be the epicentre of innovation and digital progress in contemporary times, the ubiquitious presence of a wide array of artists, designers, and engineers means there is no suprise a classic journal is often seen in-hand about the place. its notable Moleskine’s integration with Evernote also affirms that while digital does indeed remain the future, so too is there the opportunity for many digital-only brands to look back in the past and identify in a fellow provider not merely an outright competitor but instead the chance to collaborate. Ahh the flip phone. If you happen by someone watching a long running tv series like The Wire and struggle to identify what episode or season it is, a look for a flip phone shall soon give you a rough estimate. The reasons the flip phone went away in the late 2000’s was not so much an outright reputation of the product, rather just the rise of touch screen tech and a ‘buttonless’ phone as seen from the first iPhone and after. Some people really like the Wire though. For this reason, not only did flip phones and other low tech models never die an outright death, but so too have they in recent times seen a resurgence as manufacturers look for a Mach II version. While Samsung have said yes – but Motorolla no for now – the sheer diversity of formats and offerings in the high end phone market along affirms there could well be a notable return of numerous flip models to a phone store near you soon. What’s more, this need not always be done externally. Just as the same as many smartphones now produce a reasonably good RAW photo, so too can Kodak’s launch of a digital Super 8 this year can be seen as a chief representation of ‘digital vintage’ in action. 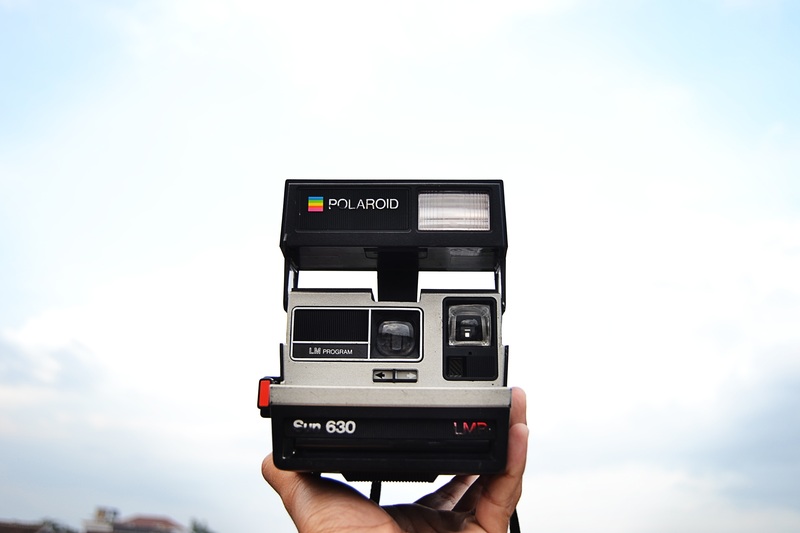 While many old photography giants have gone out of business with the shift to digital, so too have companies like Kodak looked to the archive of formerly glorious and iconic merchandise for a revamped opportunity, such is the staying power of certain old tech seen in the return of the Super 8 and Polaroid Instant cameras. While its market share remains small overall – with around 12 million US units sold in 2016 accounting for only 5 per cent of the market – that much of the demand for the LP’s is being driven not by elder generations but instead the young – signifies not only did many people maintain their collection even with the rise of digital tech; but so too does the industry hold a promising audience for future growth once more. It may well be fairly presumed with the popularity of Spotify, alongside Apple and Google Music – that this is an interesting stat for wax music fans but ultimately may not amount to much. Nonetheless, with the launch of noted services like Jay Z’s Tidal having caught a raft of bad publicity – and ongoing litigation surrounding services like YouTube’s use of artist music – declarations by streaming fans that (as Paul McCartney sang) ‘its getting better all the time’ may well be premature. This especially so in an industry where artists and digital providers have a lengthy history of legal contest. Not unlike how a high tide at the shore shall bring with it at first a surge of waves, there is nothing shocking about the shift towards digital (not least of which because what looks like ‘overnight success’ far more usually involves years of work). This notwithstanding, its long been fashionable to proclaim the death of paper and move towards a paperless world, just as new audio tech has long promised to be smaller and more compact – while never quite being able to get vinyl to play its swansong. While such claims shall always make for good headlines, the economics and ongoing use tell a different tale. Further, while data on such a transition is difficult to measure, it can be held the Assange and Snowden effect of concerns surrounding privacy in the digital sphere has led more than a few to value the use of products and technology (that even if it doesn’t outright ‘disconnect’ them from the online area, nonetheless reduces their presence). The surge in typewriter sales in Germany in the wake of the NSA surveillance scandal affirm such a trend may be small, but not insignificant. Undoubtedly, the growth and higher use of technology in daily life shall only continue to grow, and so too shall it bring with it the promise of innumerable benefits and options (for who doesn’t prefer a smartphone playlist for running over a walkman cassette that can wear out). Nonetheless, that flaw in branding that these changes have often come with the promise to do away with the technology that was in use beforehand is now being exposed by the ongoing use of Moleskines, flip phones, vinyl, and more. Put simply, while often held new tech is the better choice – and often it is – not always has the convincing case to do so accompanied it. Undoubtedly, a great tech product and piece of innovation can just about launch itself. For those seeking to launch a new gadget in future though, a greater focuses on how a product endures – over just what it does right now – shall surely grow find greater currency in a marketplace with an abundance of avenues to engage with content; and many of them already good. Such is the exciting (if immense) challenge for newcomers.